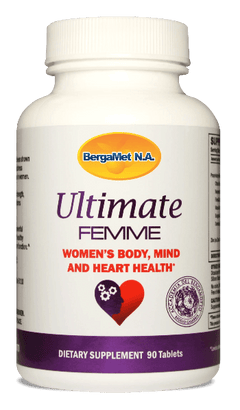 The strongest BergaMet formula available to the public - always sourced naturally and shown to support cholesterol and cardiometabolic health. BergaMet PRO+ is our physician strength formula - 30 percent stronger than our baseline formula and the most concentrated bergamot supplement available to the public. BergaMet PRO+, which is naturally sourced and formulated with extra strength to support cholesterol and cardiometabolic health, contains five unique antioxidant flavonoids that may help support healthy cholesterol, blood glucose levels, and liver function. Bergamot’s health benefits are due to its unique profile of phenolic compounds, such as neoeriocitrin, neohesperidin, naringin, rutin, neodesmin, rhoifolin and poncirin. Naringin has been shown to be helpful in maintaining normal inflammatory balance, while neoeriocitrin and rutin have been found to exhibit a strong capacity for quenching free radicals and maintaining healthy LDL cholesterol levels.